Critics repeatedly declare that the energy sector is at risk of collapse. According to them, the current system is incapable of managing the challenges posed by renewable energies. Will the industry succeed in moving away from coal without endangering supply security? How are new technologies such as blockchain changing energy and revenue streams? 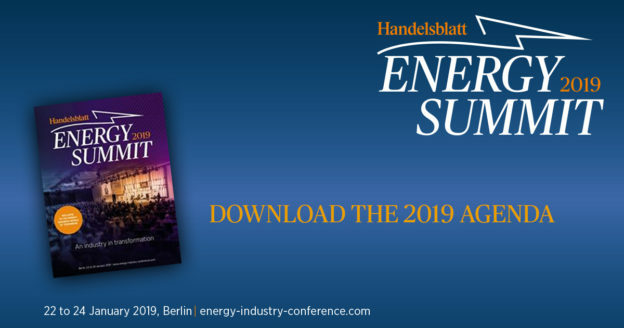 The future of the industry will be discussed from January 22nd to January 24th, 2019 in Berlin at the Handelsblatt Energy Summit.